A lightweight installation technique, allowing you the freedom to install a wood burning masonry fireplace just about anywhere! 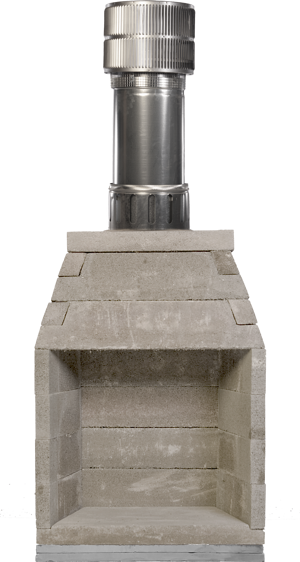 FireRock's LiteRock system is a lightweight fireplace installation method that, when combined with a metal chimney flue system, can be installed directly on a combustible floor, typically without additional support. The LiteRock riser kit consists of either two 1.5" fireproof boards or an 8" metal riser (depending on what finished hearth height is needed). The LiteRock Riser is installed directly under the base plate and provides the necessary protection between the firebox and combustible floor system, thus eliminating the need for a 4" - 6" concrete slab footing.